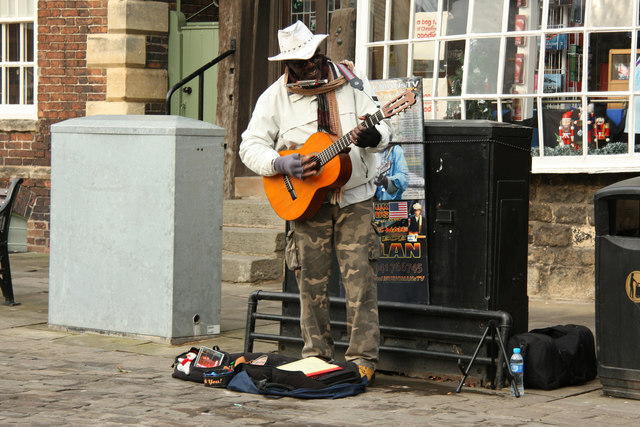 Set-up: First thing’s first, have your guitar checked so you’re not getting frustrated by the instrument going out of tune or the strings being too high – top culprits for quitting early on. Get off on the right foot and it will make things much easier further down the line. String check! 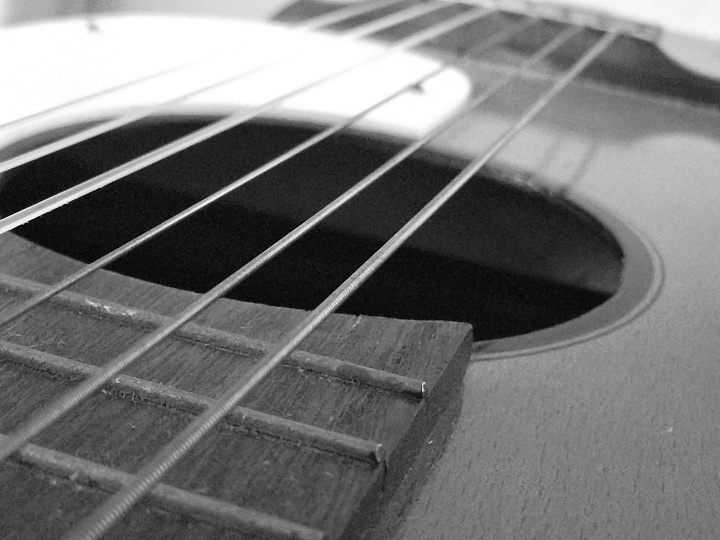 If the strings are dirty and hurting your fingers, the answer is simple – change them. If you start to associate playing the guitar with getting rusty fingers, you’ll be put off from picking it up. Playing the guitar should be a pleasure, not a chore. Learn songs that you love: Like rocking out to some AC/DC or chilling with some Ed Sheeran? Find a simple chord version of your favourite song to help you learn chords and chord changes. It’s great to learn basic chord shapes by themselves, but this will also make the task a lot more fun and keep you motivated! Scales are important: Do you know what a pentatonic scale is? Time to up your game! Knowing scales inside out is a must if you’re interested in playing solos. Learn the major scales, minor scales and pentatonic scales until you can do them in your sleep. The pentatonic scale will be your first port of call when playing blues and rock solos and can really expand your repertoire. Patience: Like with any new skill, you’re not going to write your Magnus Opus overnight. Enjoy the small victories, like learning something new or playing a pleasant sequence of chords. When learning, every piece of progress should be celebrated. 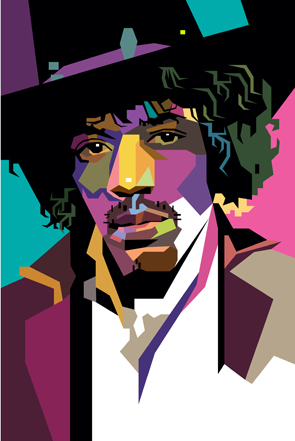 Jimi Hendrix didn’t learn overnight, and you won’t be able to either – it takes time and effort. Most of all, remember that practice really does make perfect. If you’re ready to dive in headfirst and put your passion for music into playing an instrument why not make it the guitar! There are professionals tutors based throughout the country, so why not start your search for guitar lessons here. If you’ve got a budding band behind you that could also do with a little tuition, why not find them bass guitar or drum lessons? The highlights of the autumn garden are some of the most heart-warming and surprising and can represent a great opportunity for garden projects. Maybe it’s the rich fall colours that seem to glow even on dull days. 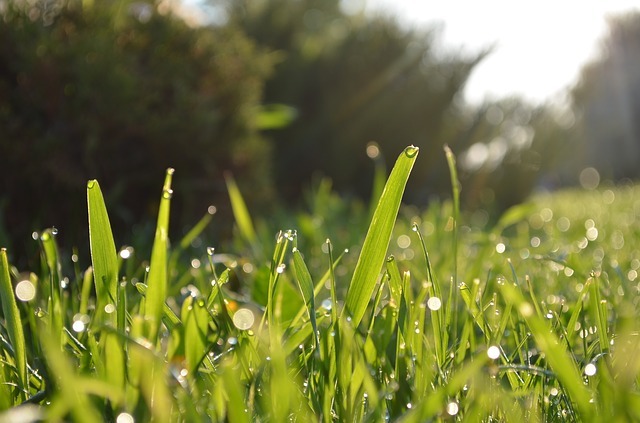 Or perhaps it’s that lush burst of growth of the grass, encouraged by morning dew and more frequent rainfall. The gardening and landscaping year is far from closing, there’s plenty that you, or your gardener can do to make the most of the season and prepare for the future. There is a treasure trove of seasonal plant material on sale in garden centres and nurseries. Even if it’s still alive, get rid of summer bedding from those patio containers and pots. There are lots of wonderful autumn and winter container plants that will really brighten up the patio and doorstep: violas, pansies, heathers, heucheras, cyclamen and a host of foliage subjects. Many of these will stay looking good through winter. There are also all those lovely spring flowering bulbs to plant in preparation for another season. Plant any small bulbs such as snowdrops, iris and fritillaries as soon as possible; they deteriorate quickly if left out of the ground for long. Hold off planting tulips until late autumn as if planted too early they can suffer from frost damage or the disease ‘tulip fire’. 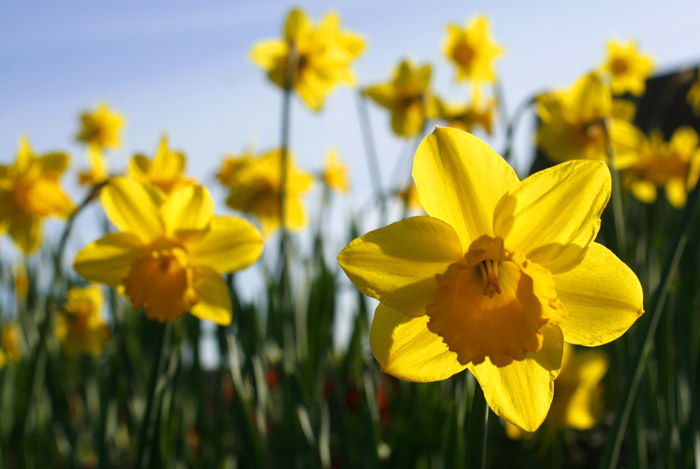 Daffodils and narcissi can be planted at any time. Leaves are falling, so keep gathering them regularly and do not leave them lying on the grass. It’s best to mow them up with the mower on a high setting if possible. This chops the large ones coarsely and adds a few green grass cuttings that help the composting process. It is certainly much less backbreaking than raking – quicker too – so if you don’t have the right equipment, ask your local lawn care professional for advice. Remember, if you’re looking for help around the garden, autumn is often the best time for planting trees and shrubs, and can be a good time of year for general garden maintenance, as well as removal projects once barbecue season is over. Some shrubs will give instant impact if planted now and they can also benefit wild birds that visit your garden. 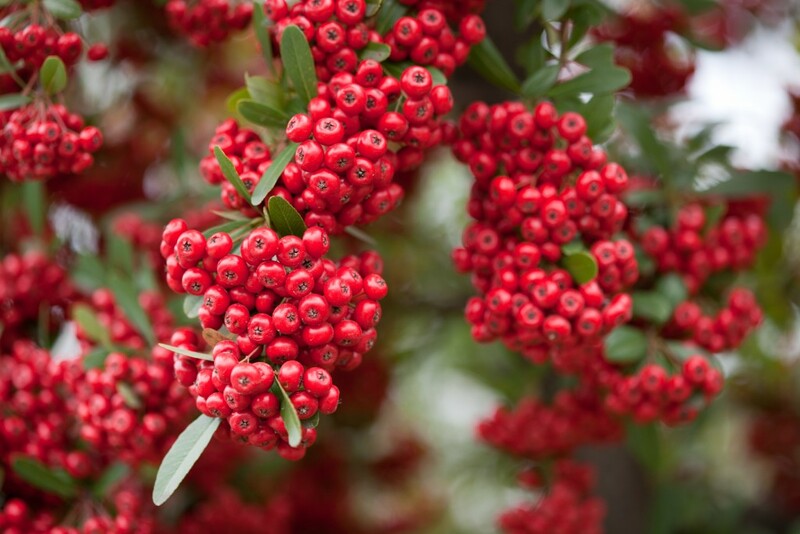 Cotoneasters are a great choice – tiny white flowers in spring that attract bees and other pollinators, scarlet berries in autumn and winter that the birds really enjoy. If you are thinking of a planting a tree, think beyond spring blossom. Sorbus and malus both have colourful fruits that provide winter food for birds, if you can tempt them to something organic away from the bird feeder. If you choose just one shrub to plant it has to be a hydrangea: these have gone from being old fashioned to super-trendy in the past couple of years. They are at their best in autumn when their brighter colours fade to something far more sophisticated and beautiful, before they turn parchment in winter. For flower arrangers this is the time to cut them and dry them to preserve their faded beauty. Whatever you have planned for your garden, ground preparation and careful planting gives the best results. So fork over the ground and mix in plenty of garden compost or shrub and tree planting compost. analysis of website . Dig a hole that’s plenty deep and wide enough and plant firmly. Always stake and tie any new trees securely. While summer is unfortunately drawing to a close, this is certainly no time to abandon your garden. Taking care of your garden now will reap rewards all through autumn and winter and give you the chance to play host when others can’t! Follow @AndyMcIndoe on Twitter for more expert insights. 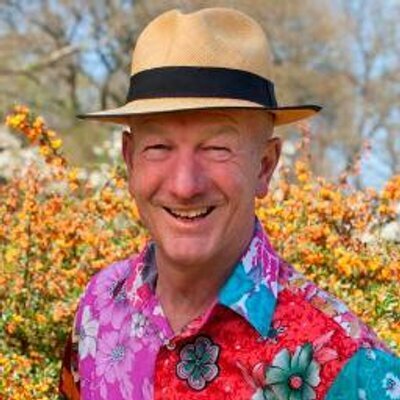 Andy is MD at Hillier Nurseries and Garden Centres, as well as a tutor and blogger at the online gardening school MyGardenSchool. Want to leave it to the professionals? Leave it to us to get you gardening quotes now! For more Bark.com tips and insight, why not check out our other blogs? In our first of a series of guest blogs from experts across Bark.com, Charlie Mullins, Founder and Managing Director of London-based Pimlico Plumbers, the capital’s biggest independent plumbing company, shares his top tips for healthy waterworks. 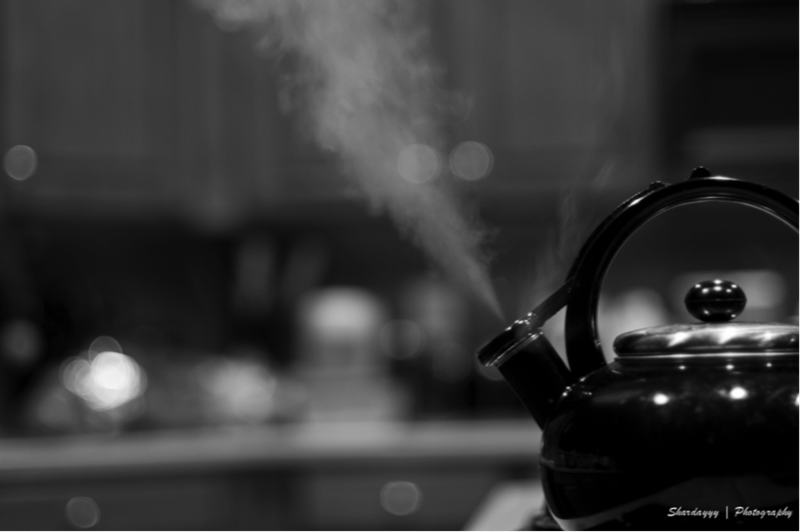 Whether you’re boiling your kettle, doing the laundry, having a soak in the bath or warming the house on a cold, crisp evening, we do use a lot of water simply going from day to day, with our plumbing quietly working away in the background to transport it from A to B. But making sure we get the most from our pipes is not always that simple – if you’re working with existing networks, they aren’t always as flexible or adaptable as we’d like them to be, and if you’re starting from scratch, there are a number of building regulations to consider. So if you’re thinking of doing any tinkering, here are a few top tips to help you ask the right questions, get the right solutions and perhaps most importantly, the right quotes for your plumbing. 2. 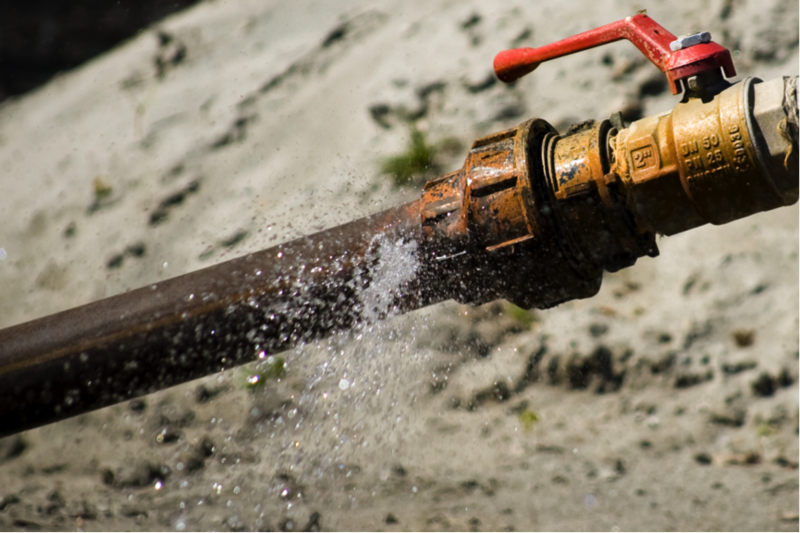 I don’t understand my water pressure – We’ve all experienced the disappointment of a bad shower, whether that’s the embarrassing trickle that drips from the showerhead or the vicious spikes and drops in temperature when someone turns a tap on elsewhere. But it doesn’t have to be that way if you carefully consider where your water tank is positioned and match the shower to suit it. Generally, your supply will come from one of three places – a header tank in the attic, with a hot water cylinder in an airing cupboard; a pressurised system using the pressure from your mains water supply in the road; or a combi boiler system heating water on demand. 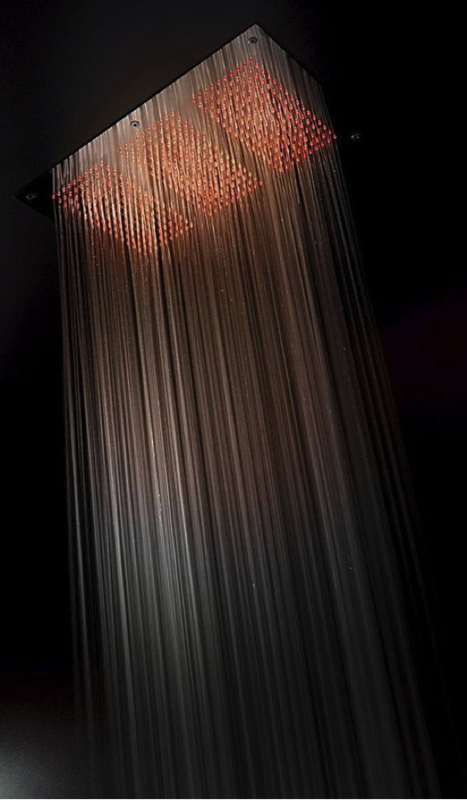 Again, it’s worth consulting a specialist shower installation professional before you get too attached to the idea of a ceiling mounted rain shower head – beautiful in theory, but not always practical. Spectacular, spectacular – but only if you’ve got the right tank! 3. How do I get the most from my boiler? – Boilers can take up a lot of precious space in a crowded kitchen or bathroom, so many people opt to move them somewhere more secluded in the home. If you’re thinking of doing the same, there are a few things to consider – firstly, how readily accessible will your boiler be? Unless you have a converted loft, bunging a boiler in the attic will only give you and your (CORGI registered) boiler engineer headaches when it needs to be serviced, so aim for somewhere on the ground floor like a shoe cupboard or utility room. Then, think about how far any heated water needs to travel – the shorter the distance, the quicker you’ll be able to run your bath. Finally, don’t forget about the flue (the vent for the boiler) – there are several building regulations that can limit where it can be positioned, and therefore where your boiler can be installed. 4. And my radiators? – If you haven’t replaced your radiators in a while, you’ll probably find them situated under windows or on external walls – and there is some logic to this as before double glazing came into play, this helped cancel out cold draughts entering the room. Nowadays though, radiator positions don’t need to be so prescriptive, so feel free to play around with locations (perhaps with the help of a handy heating professional). Just watch out for blocking them with furniture or hiding them behind long curtains as that will trap the heat. 5. What about the pipes themselves? – Going underground seems to be a growing trend with all manner of piping to keep rooms looking clean and clutter-free. And that’s fine – but make sure you find yourself a plumber you trust because the move will be delicate. Any drilling or notching to floor joists needs to be done with care to ensure they can still support weight, any pipes buried in concrete floors need to be protected from potential chemical reactions with tape or plastic casing, and pipes shouldn’t be randomly placed anywhere – otherwise, tradesmen further down the line could easily hammer a nail in to your network or make an incision accidentally. Water in the hole – or is it hole in the water? Whatever your plumbing need you can find the best local plumbers on Bark fast and free. Have you got your own plumbing tips to share? Have you ever been caught out by the above? Give us a Bark and let us know!